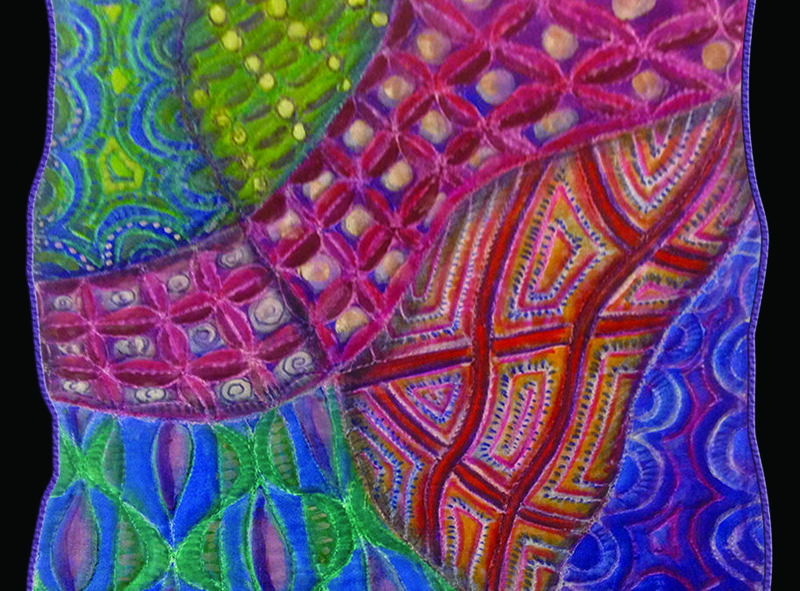 A ZIA is a Zentangle Inspired Object. I do a lot of these, especially now I have discovered Zentangling. Having doodled all my life I feel that I have finally come home. If you’re less comfortable with the idea at the moment, there are dozens of aids and books designed to help you Zentangle. 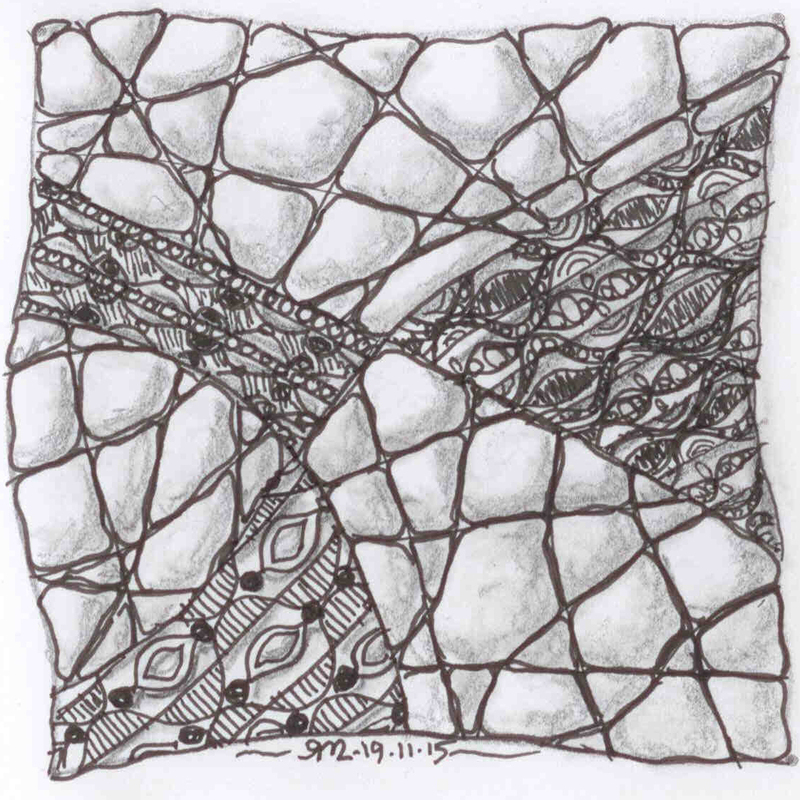 True Zentangles are done on small cards 4″ square, and you work them in the central 3½” of this square. You need a pencil, an ink pen and a burnisher as well as a few ‘tangles’, as we call the various designs. 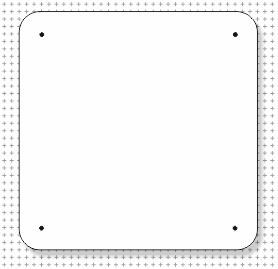 The card has four dots on it (see the templates page for a printable set of cards) and you use the pencil to draw a freehand square. 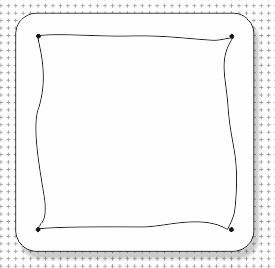 Next you pencil in ‘strings’ to divide this square into areas. The real value of these strings is that you no longer have a blank white space and you will very quickly build up a set of patterns that you like to use. In the Zentangle world you use the pen to fill in the patterns. And you can also use the pencil to add further shading, and your burnisher to soften this. 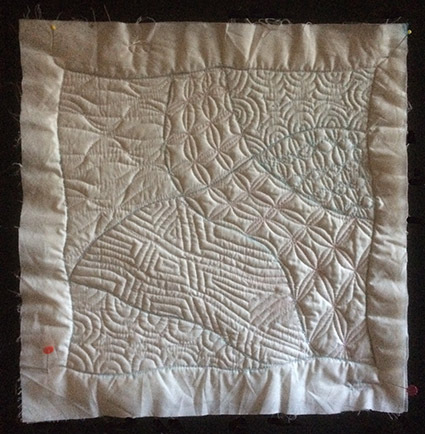 This technique works very well when you are quilting – but not generally at this scale. So first decide the size of square you want to work on. Then prepare the cloth sandwich, with your blank white sheet of cotton, linen or silk on top. Now secure the edges with clips or pins. 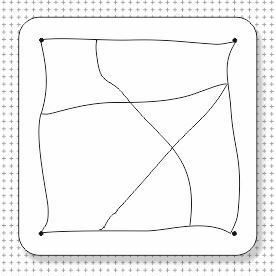 Next measure your square, and mark the corners with dots (or faintly draw in the square you want). 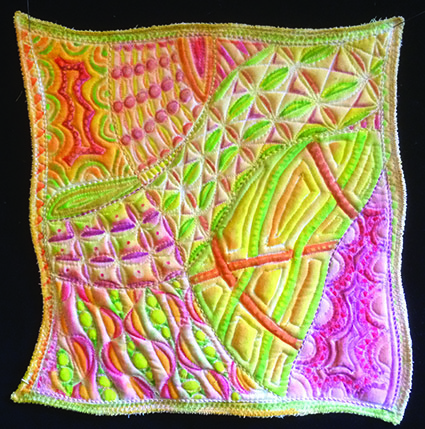 Sew this square in – freehand if you are feeling brave. Add the dividing lines – again freehand, if you can. You can do the border of the square and the dividing lines using conventional machine sewing. I created the design above for a magazine. But as it was for the Spring edition, I thought it was a bit dark. I did a paler version using Rose Quartz and Serenity Blue etc. (this year’s ‘in colours’). This version appeared in Zen Doodle Workshop, Spring 2016. I also did a yellow version – and learned quite a lot as a result. I would recommend applying your design lightly in a colour that you will be using. Ideally do this before you assemble the wadding sandwich. Members will find a template for this ZIA on the template page. 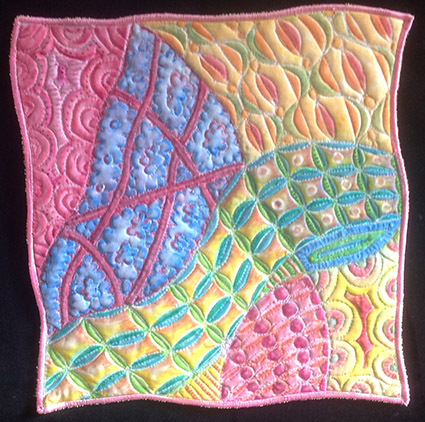 In the next blog I plan to look at tangles that work well as quilt designs.